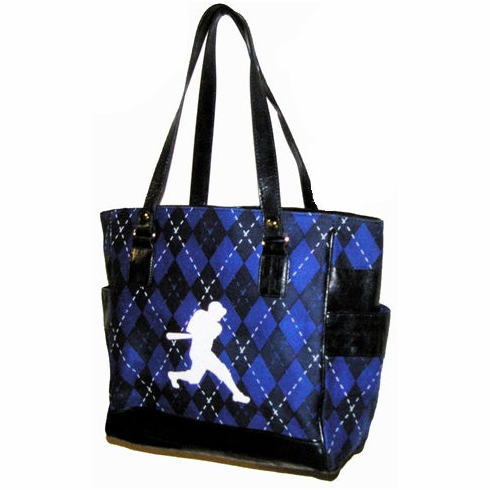 Baseball Batter Blue Argyle Tote. This design, retired by Red 24 / Red 25 Sport Handbags a few years back, is great for someone who likes to bring a small tote to the ballpark. Full size navy on blue argyle cotton with navy blue faux leather trim, fully lined. Matching key chain with clip included. Measures appx. 12" x 10" x 5.5".